I’ve been working on the Candice Strict sweater, and have the sides and back almost complete. I am not loving it as much as I did when I bought the yarn. That however, seems to be a pattern for me, and explains why I knit things up and then do not finish them. I guess that I would be called a process knitter. The gradation of color is wonderful, and I want to explore this concept further. I saw a great fair isle sweater on Ravelry that I loved where there was a reverse gradation of background and accent colors. I am hoping to finish this in a week or so, there are a lot of stitches in this sweater. 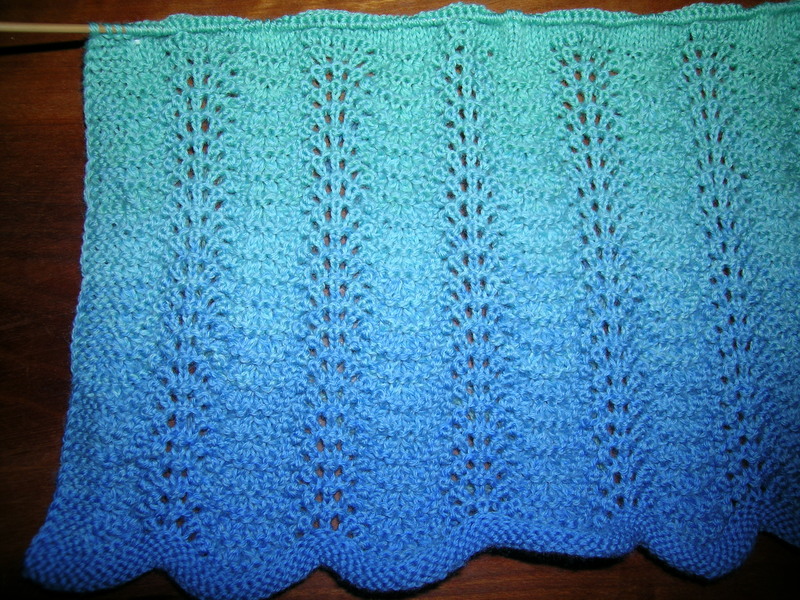 Just to the underarm is 120 rows at 296 stitches—35,520 stitches. No wonder it is taking me longer. ← New Project, what to do?! !